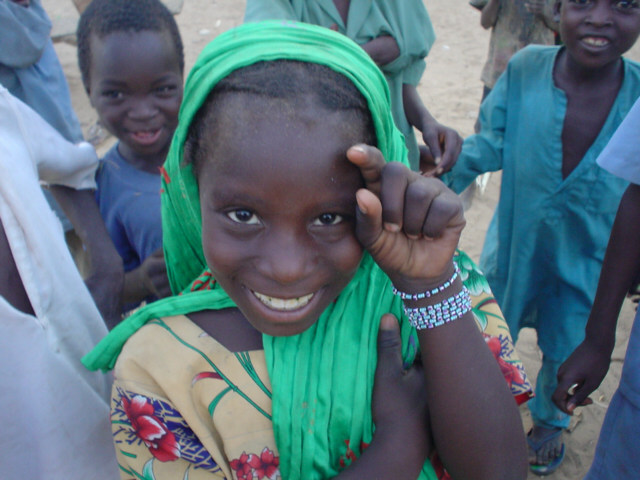 A Child in Zermou, Niger. There will be no beating of the drum in this boys life, there will be no admiration of the women as this proud young man walks around head raised high, strutting and shining, today I was a man. This boy, this man will raise his hand, look at you today with sad and pouting eyes, you have more than I have, please give me money. Are you missing an eye, are you legs no good, is there some reason your life is so sad, what can I do, what do you need, how has the world hurt you so bad, you need to beg of me. I am a working man, same as you, I worked all day, I save my money, I have much, however I also work for this money you now want. I will give you my left arm, my right arm; I will share with you my good fortune. I am your brother, your father, I am you friend, I will give you hope, I will give they promise of a great future, why do you beg? The boy in the middle is a beggar, I do not believe he will ever work. 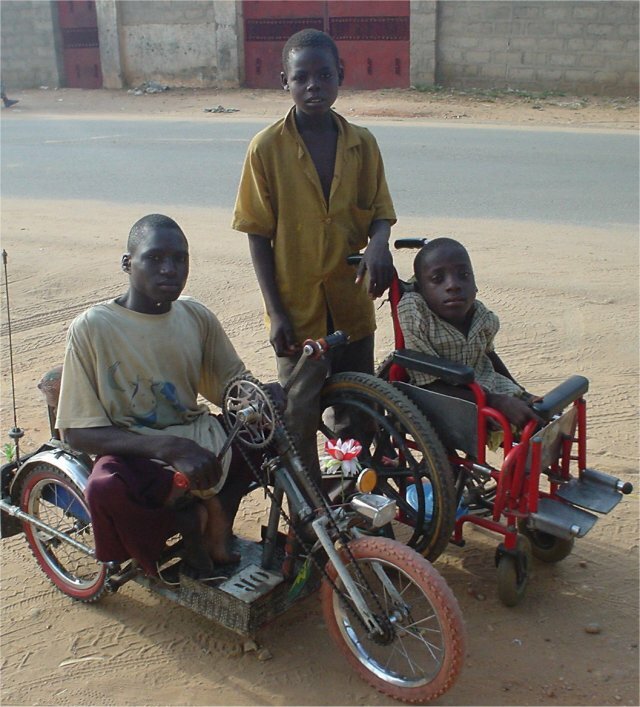 I have walked the streets of Niger, the cities of Niamey, Maradi, Zinder, and Agadez many people walk up to me, they look at me, and some are crippled. I am a strange looking man in a foreign land, I am sure they are curious, I have blue eyes, they have brown, they have black skin, I have white, I am a strange person. They are curious, I am curious, we look at each other, I try to say hello, I can say hello in so many ways, with my eyes, with my way of being a good person. A little girl, a little boy walks up, I bend over to shake their hand, they shake my hand, a crippled riding these clever three-wheeled chairs comes over to my path, stops near me says hello and waves. I say hello, I continue to walk, they all look at me, and I am wondering, I see the pout in their eyes, I am not sure, and what do you want? And then, one child puts out his hands, money, I give small coins to the handicapped man, I check the body of the young boy, two legs, two arms, all his eyes, mind seems alert, he is a boy, he will be a man, I will give you nothing, I will not make you a slave. 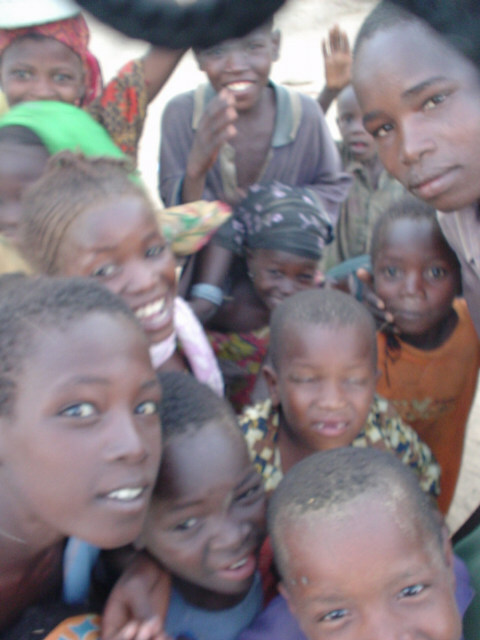 These are the hope of Niger, these are the children, and these are the bright and shining stars of the future of Africa. The world has beggars that are a fact, there are people that would rather sit on the corner, sit in the welfare line, sit in the unemployment line, saying give me free money. I am lost in Niger, I thought I had encountered ever type of beggar, prostitute, and persons wanting my money whether by good or bad intentions, the world is a clever place, and they want my money. However yesterday and today, I will meet a new person in the street, a person that assumes I know him or her, a person that does not ask for money, who will assume I already know they are a beggar. I am angry, who did this to them, who made them a slave, who taught them this, who gave them money, who told them they are poor, who made them a beggar. Who stole their pride, who purchased it for small change? Somebody walked up to these people and gave them money, food, a place to sleep, they did not ask, they did not beg, they were made a beggar. You want to give me money, why would I not take it, if you are stupid enough to give me your money, then I will take it, you are such a silly rich man. This worked yesterday, it worked today, and it will work tomorrow. Today I take the easy way. Yes, I am a sad person, I have nothing, I am told each day, I am poor, they are rich, I will take the money, the food, I will take what you give me and yes I will come tomorrow and I will take again, I am your slave. I went to the village of Zermou, Niger approximate 40 Kilometers from Zinder a place where mal-nutrition is killing the children under five. The Doctor of the village said 47 children have been taken to the hospital. This is a village abundant in food, however lacking in the proper balance of Fruits, Vegetables, Nutrients, and Vitamins. While I walk around this wonderful small Africa community, I am followed by a flock of small children, some adults, all are curious. I say hello, I nod my head, and shake one hand, then another, then I find I am surrounded shaking all the hands, they are pulling and tugging, they are all holding my hands, my arms, they are hugging me. Life is good; I have met a new people, proud and happy. I kneel, I look into those big brown eyes, and yes, you are a beautiful child, so full of energy and love. She reaches out, she is timid, she touches my hair, I allow her to see that I am safe, she has never touched blond hair, she stares into my blue eyes, and I stare into hers. We are friends, now another touches my hair, they all run and push, they wish to touch my hair, I want them to touch me, I want them to know, I am real, the world is a good place, it is a safe place. I love this young girls eyes, she is Africa, she is its future, she is a person young and brave, adventurous and curious, She was the first to meet the new world entering her village, she said hello, we are friends. She is my new friend, we are equals, we share a smile, she is smart, quick and ready to learn. I entered the village of Zermou, Niger, I did not take, I did not give, I did not meet any poor people in Zermou. If your vision of the world is to tell them they are poor, rob them of their pride, enslave them with your good intentions, rob them of their hope, then I would rather they die, better to die a with pride. First do no harm, do not remove this look from her eyes, please leave her alone, do not touch her, do not hurt her, she is ok, she is just is living in a different place, she is not poor, it is not your world, it is hers. Niger is eating only five to ten types of foods, the world is coming and telling them they are poor, I found no poor people, however I am going to tell them, please start growing more vegetables, fruits, and other types of crops. Eat you veggies it will make you big and strong, my mother told me this a long time ago. Please, as your friend, I encourage you, please tell your children and your neighbors eat your veggies. One moment of perfection, as the village of Zermou, Niger says goodbye.